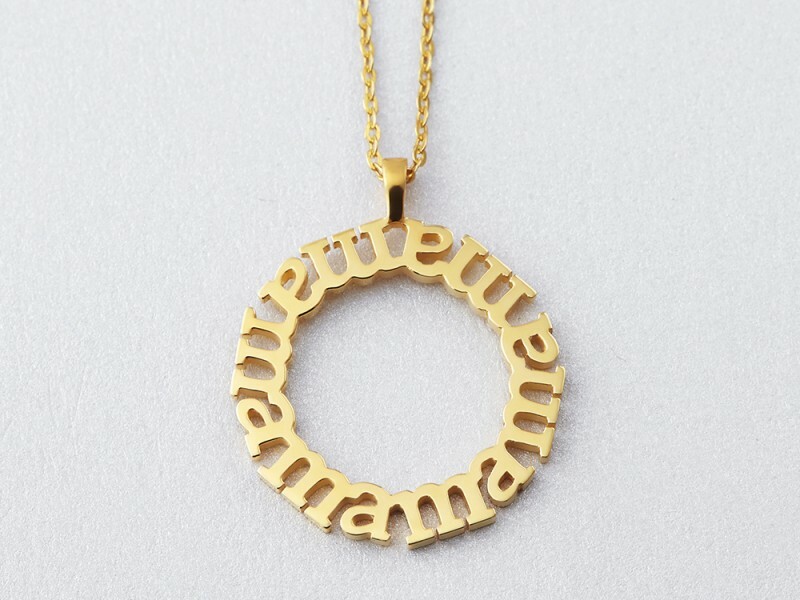 A sweet Mother's Day gift for a new mom or mom of a toddler, this sterling silver Mama circle necklace for mother is a cute reminder of baby's first word. Available in sterling silver with 18K yellow and rose gold plate options, this block mama necklace is a modern take on the classic mama necklace. Much as possible, we refrain from doing that except in exceptional cases where very specific instructions are given. One’s handwriting reflects precious memory, and we try to not to touch it. However, if you feel that it is important to change a certain word, contact us at co[email protected].